I found this band occasionally walking through nonprofessional music sites. BOA was on 1th place in local chart. I downloaded and got admired: they are really good. BOA music is like "Neschastny sluchay" and "Ivasi" style so if you like these bands you'd probablu fell in love with BOA. 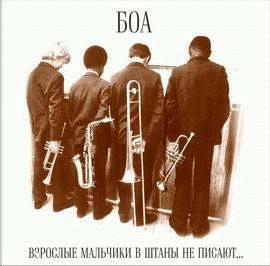 Jazz, easy listening, excellent texts, naiv - this is BOA.